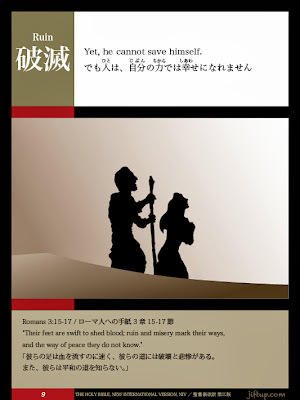 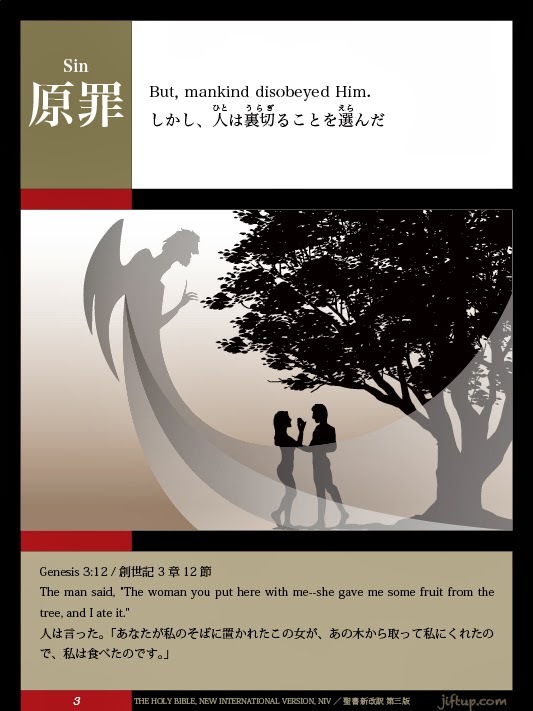 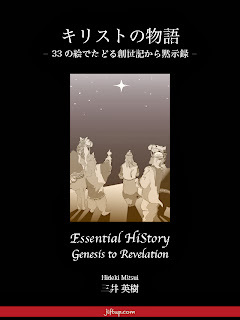 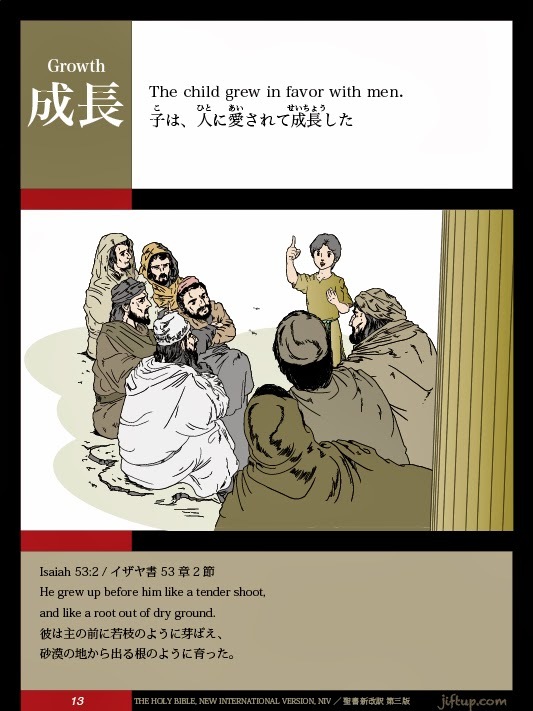 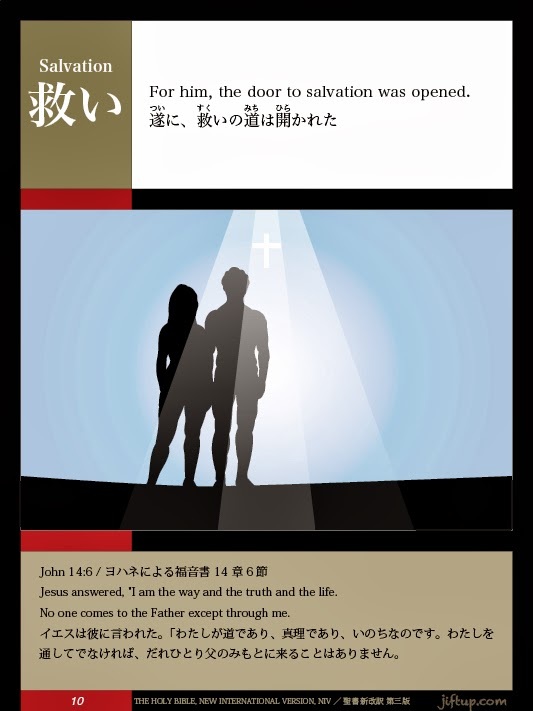 Essential history of Jesus through 33 visual scene, written in both English and Japanese. 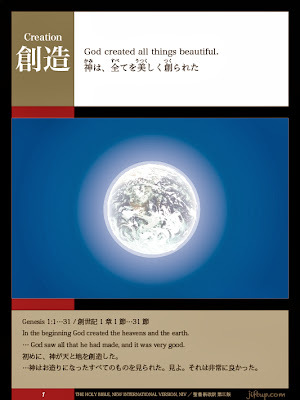 God created all things beautiful. … God saw all that he had made, and it was very good. 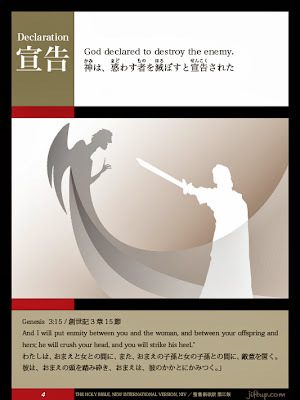 God declared to destroy the enemy. The man was separated away from God. 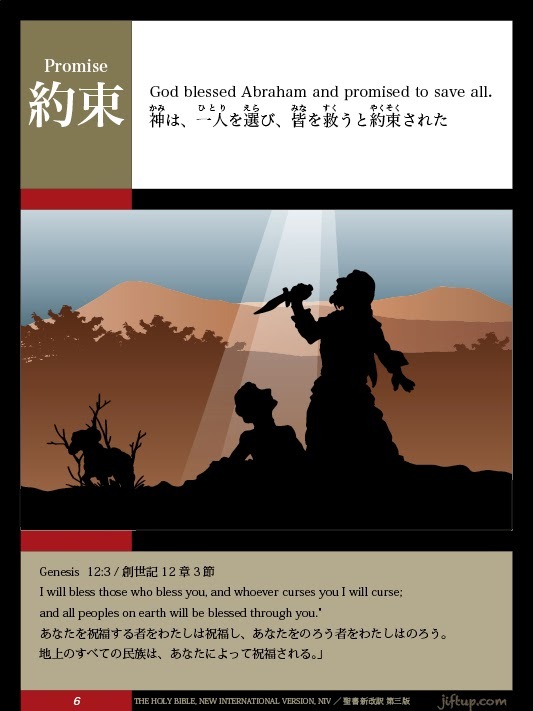 God blessed Abraham and promised to save all. 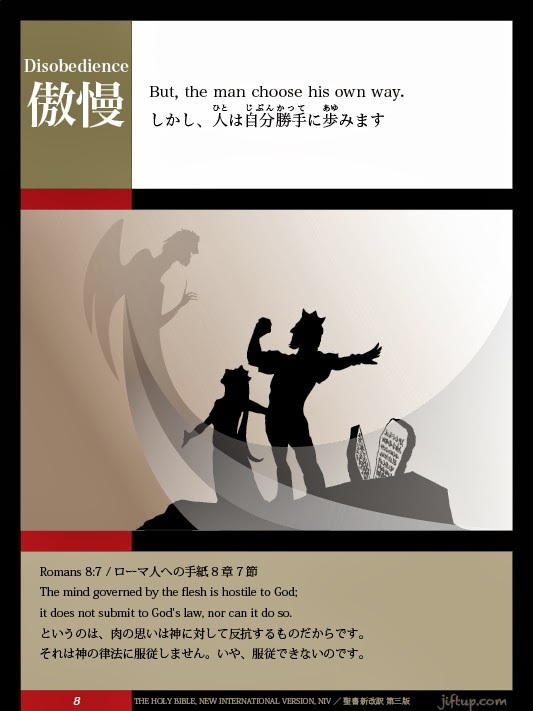 God gave the laws to the man. But, the man choose his own way. 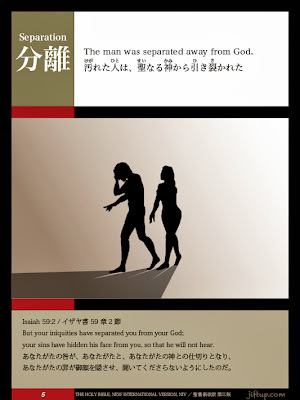 Yet, he cannot save himself. For him, the door to salvation was opened. 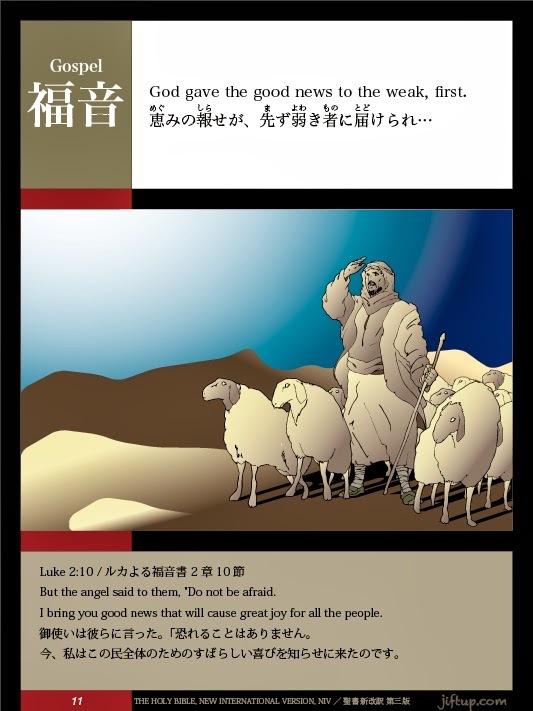 God gave the good news to the weak, first. 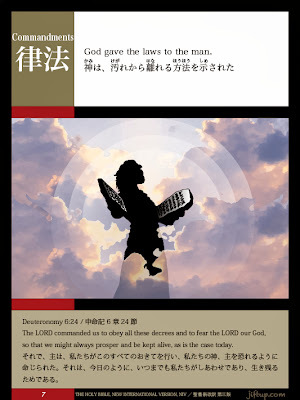 But the angel said to them, "Do not be afraid. I bring you good news that will cause great joy for all the people. 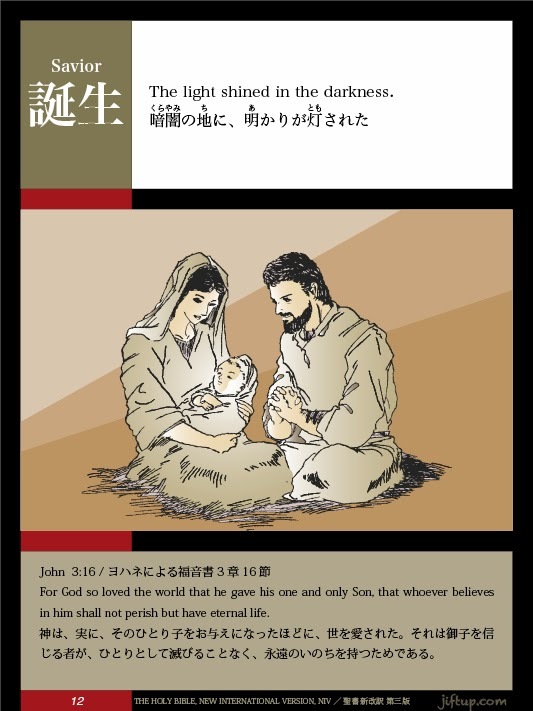 The light shined in the darkness. The child grew in favor with men. 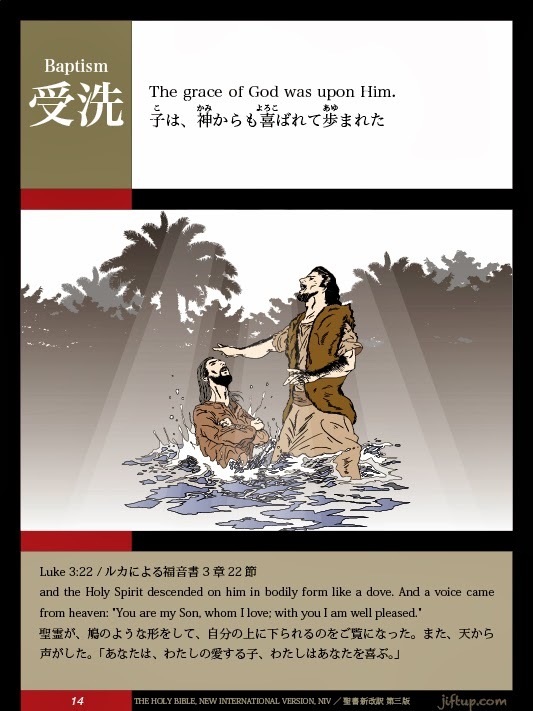 The grace of God was upon Him.